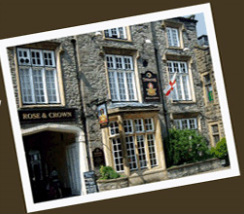 The Rose and Crown Hotel and Bed and Breakfast in Clitheroe is situated 100 yards from clitheroe castle. Our delightful Hotel has as much charm as it has history. 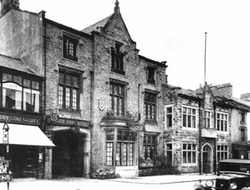 There is very good evidence that there has been a public house on the site of The Rose & Crown since Tudor times. rooms retain original features like high ceilings and large windows looking out onto the street. ales to enjoy, some from Lancashire's own Thwaites Brewery range. commended award in Great Britain.